I acquired the use of a PDP8/E in the fall of 1998 and spent the next several months learning everything I could about it. The system that I have was originally purchased as a machine controller in 1970 and was the front end for a PDP14 programmable controller (some of which I also have). I don't think the PDP14 was really used as a controller, but more as an I/O interface, with the PDP8/E running the control program. The computer was stored away in a basement closet around 1978. Fortunately is was stored essentially complete. I have an ASR-33, TU56 dual DECtape, and the PDP8/E with 12KW core. All of the documentation was there including print sets. The system had some DECtapes with OS/8 V3D and after toggling in the bootstrap started right up. Originally the system was equipped with 12KW of core. This is the minimum necessary to run OS/8 with a TD8E DECtape controller. I designed and built a 32KW semiconductor memory board for the OMNIBUS. This was an interesting design because the bus is quite different from modern buses. It is open-collector and negative logic instead of the more familiar tri-state, positive logic buses of today. 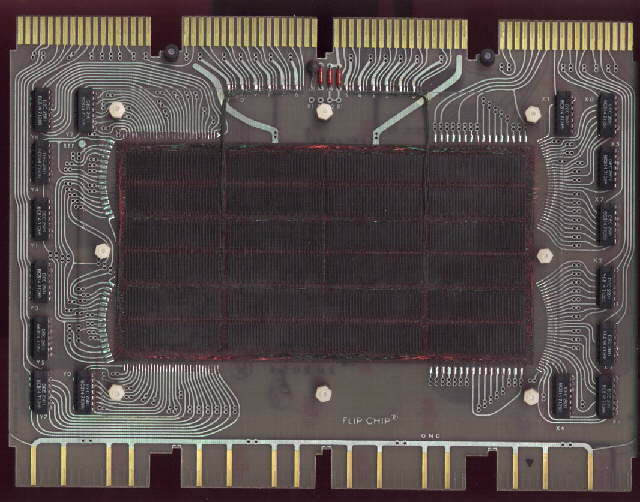 The design included battery backup for the CMOS RAM chips. I added an ATA interface to the memory board so that I could use a small IDE drive. The difficult part of this was not the hardware, but writing the device driver. OS/8 restricts a device driver to either 128 words or 256 words and makes it difficult if you choose the larger. The system handler is further restricted because part of its memory page is allocated for other things. After trying several times, I placed the driver in the highest field by itself and wrote a simple driver for OS/8 that just linked to the high memory field driver. Eventually, OS/8 recognized the disk as the SYS: device. I was surprised by how fast the machine became after it had a fast system device. OS/8 does a lot of swapping of its various components between memory and the SYS: device and a disk made this much faster. I also constructed a LE8-E software compatible printer interface to allow the use of a printer with a standard Centronics parallel interface. I have since found a real LE8-E and also and LC8-E. Both seem capable of interfacing Centronics style printers. My latest efforts have been towards an RX02 emulator which can be used both by PDP8 and PDP11 hosts. The emulator runs on a Linux PC and uses a parallel port and an interface board. 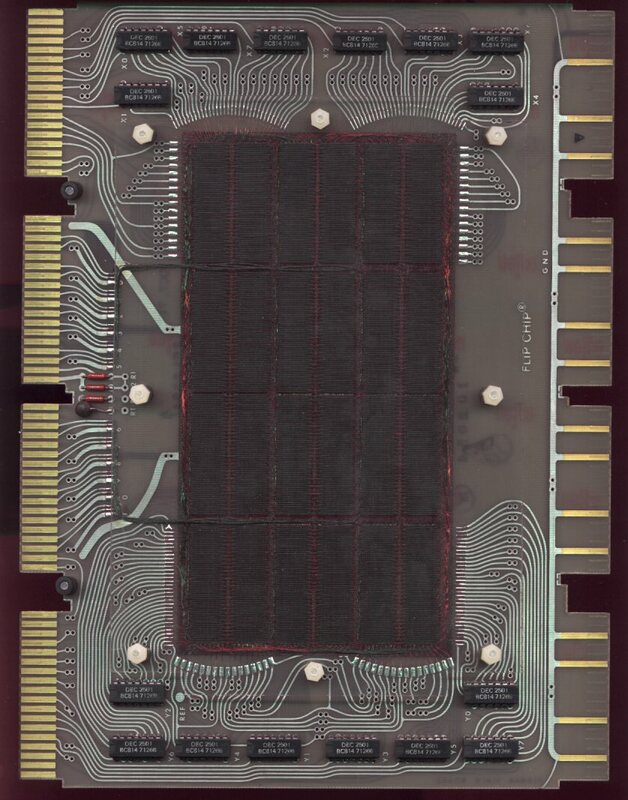 32KW Semiconductor Memory - One of my first hardware projects with the PDP8/E. I have some notes, but they are not very good. (8/15/2006) I am in the process of drawing up some schematics. Here are the pages that I have half done: control, SRAMs, bus interface, and battery backup. Here is a set of marked up drawings that were used by a visitor to make his own version. (Thanks Lou.) After looking this over, it is truely naive. It connects directly to the OMNIBUS with little or no buffering. It has not been tested with any data break devices. This memory has the ability to write protect the high field. I wrote a loader that can load any of several bootstraps from a menu. Toggling is fun, but after a few crashes it becoms tedious. ATA Disk Adapter - This was added to the memory board and almost functioned. Some time I am going to finish it. LE8-E Compatible Printer Interface - I added this to the memory board and it worked fine with an OKIDATA dot matrix printer. I have since acquired a REAL LE8-E. I am not sure if it will work with a Centronics interface or not. RX02 Floppy Disk System Emulator - It functions with the PDP-11 just fine. My goal is to use it with the PDP8/E. I have a page for this too. VC8/I Point Plot Controller - Point plot and vector graphics have interested me for a while. One day I noticed that I had enough Flip Chips to construct a VC8/I so I did it. PDP8/e Printers - I connected a centronics printer to the PDP8/e using a M8365 interface. 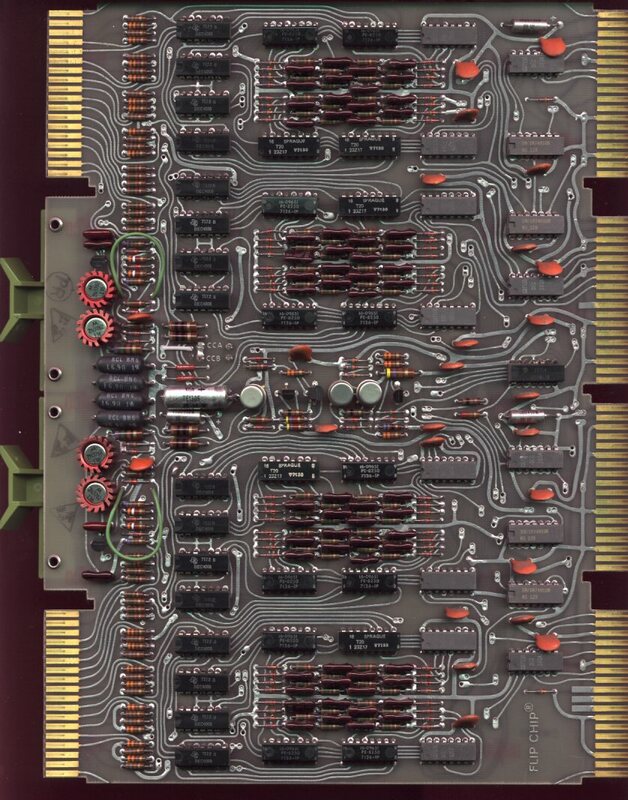 One of the great things about the PDP8 is the amount of information that is available about them. These are some sources that I have found helpful. Doug W. Jones - The PDP8 FAQ he maintains is excellent. Highgate's PDP8 Page - A great source for technical documentation on the PDP8. www.pdp-8.org - A lot of paper tapes including the MAINDEC tapes. 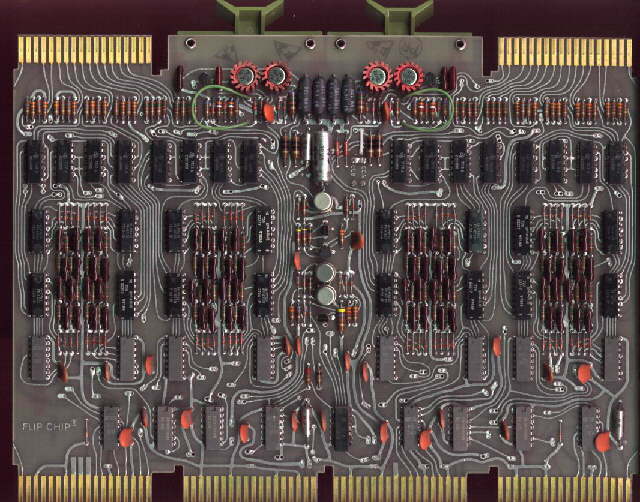 Al Kossow's Archive - An excellent general archive of computing machines of all types. I check his updates most mornings to see what has been added overnight. What amazes me, is that if somebody asks about something in a news group, the answer will often suddenly appear in this archive. The computer that I have came with a nearly complete set of documentation. The following is a list of those documents and print sets. A lot of this is online, check out some of the sites listed above. Teletype Model 33 Line Set - Prints for the stock ASR-33 from Teletype Corporation. LT33 Teletype Model 33 Modifications Print Set - Prints for modifications to stock ASR-33 for paper tape reader control. TU56 Dual DECtape Print Set - Prints for dual DECtape drive and drive electronics. Not all schematics for Flip-Chip modules shown on placement diagrams are included. TD8-E - M868 - DECtape Control Print Set - The non-data break OMNIBUS DECtape controller, includes TU56 print set. KA8-E - M8350 - Positive I/O Bus Interface Print Set - Used with this machine as an interface to the PDP-14 programmable controller. 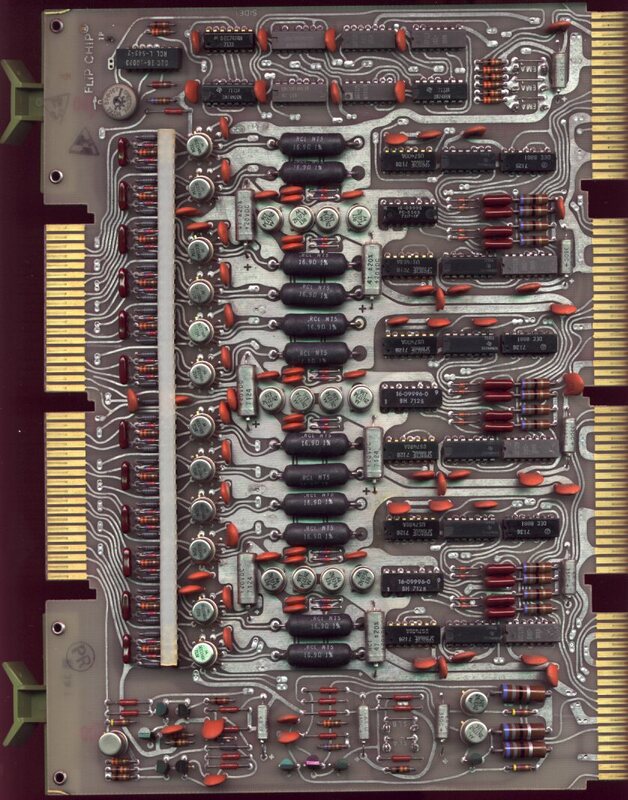 BE8-E - OMNIBUS Expander - PDP8/E OMNIBUS backplane assembly. LAB8-E - Print Set - Lists of constituent parts and basic interconnect diagrams. 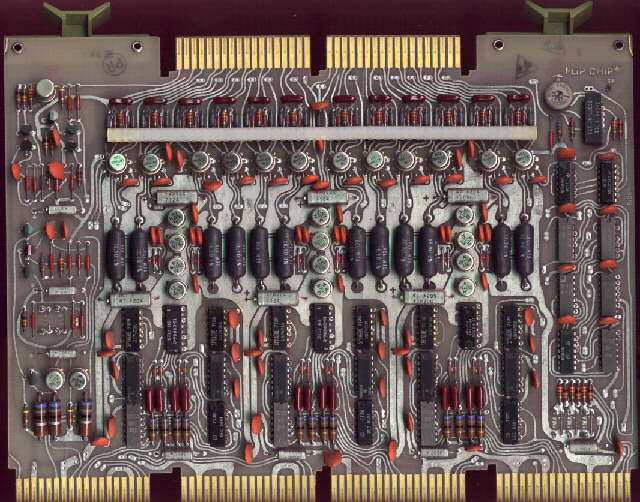 PDP8/E - Print Set - Processor, memory, TTY, and chassis drawings. PDP14 Maintenance Manual - Single bit processor based programmable controller. I also have several books. I also have many paper tapes. I also have some DECTapes. If any of this is unique, let me know. The newsprint that DEC used for these old books is deteriorating rapidly.